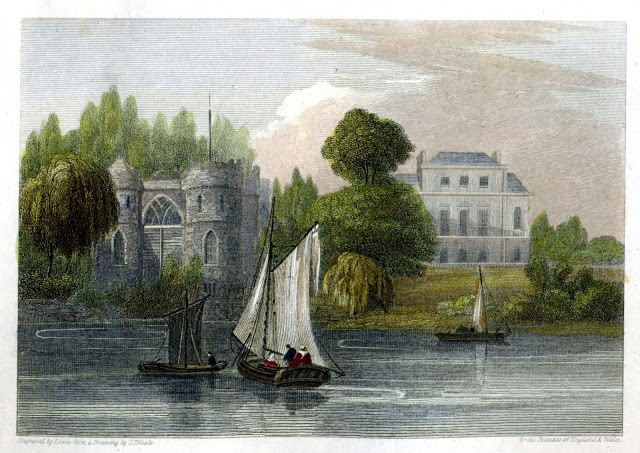 Brandenburgh house from The Beauties of England and Wales by John Britton. The text of this allegory is preserved in the British Library. The original edition is simply entitled "Prelude," and it is not attributed in the catalogue to Elizabeth Craven. However, there can be no doubt that she is the author. It appears to be the first work of Elizabeth Craven's that was performed in her celebrated private theatre at Brandenburgh House in Hammersmith, Middlesex in what is now London. The work can be firmly dated to 1793 because of its allusions to the outbreak of war between Britain and France, and also from its verses dedicating the theatre to the Muse Thalia, and pronouncing a benediction over it. The text below has been edited and corrected. A Question of Disputed Authorship - Craven or Carlisle? 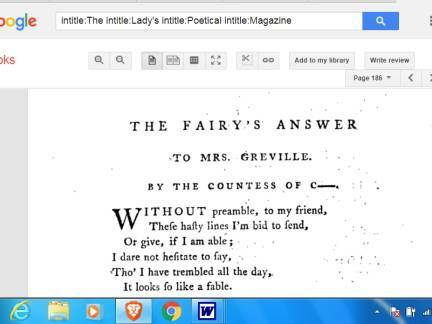 In the anthology Poems on various subjects, edited by Thomas Tomkins in 1804, we find “A Prayer for Indifference” by Mrs Greville. Oh! deign once more t'exert thy power; Haply some herb or tree, Sov’reign as juice of western flower, Conceals a balm for me. I ask no kind return of love, No tempting charm to please: Far from the heart those gifts remove, That sighs for peace and ease. Nor peace nor ease the heart can know, Which, like the needle true, Turns at the touch of joy or woe, - But, turning, trembles too. Far as distress the soul can wound, 'Tis pain in each degree: 'Tis bliss but to a certain bound; Beyond, is agony. Take then this treacherous sense of mine, Which dooms me still to smart: Which pleasure can to pain refine; To pains new pangs impart.